Typically neon in color, thomsid crab spiders are often found on the leaves or flowers of plants, where they wait to ambush unwitting prey; as such they typically do not rely on web-building for capture food. 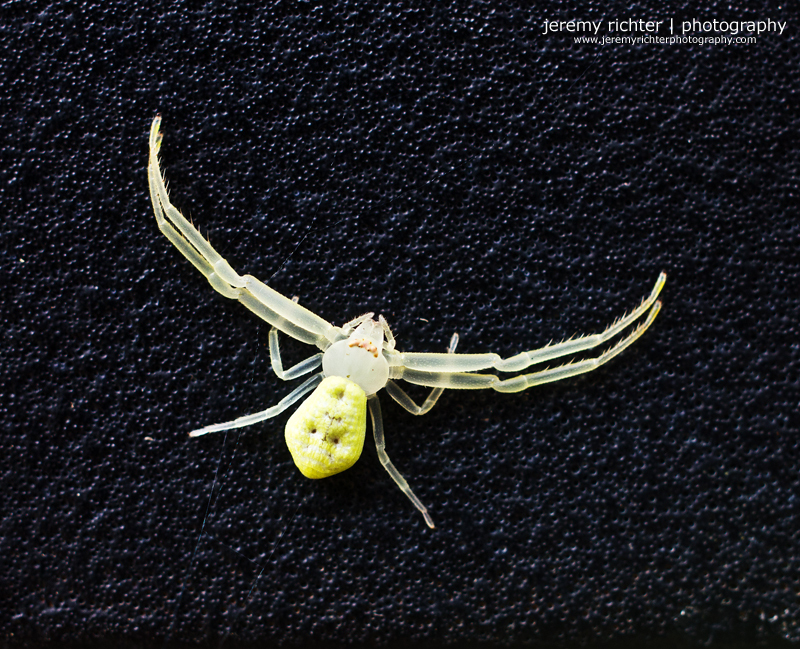 Thomsid crab spiders are also commonly known as flower spiders. Because of the nature of the insects that thomsid crab spiders eat, they are considered beneficial to people. Thomsid crab spiders live less than one year, with the females hatching one generation of young in the autumn months.